Wisden Standard hardback edition. The most famous sports book in the world, Wisden has been published every year since 1864. 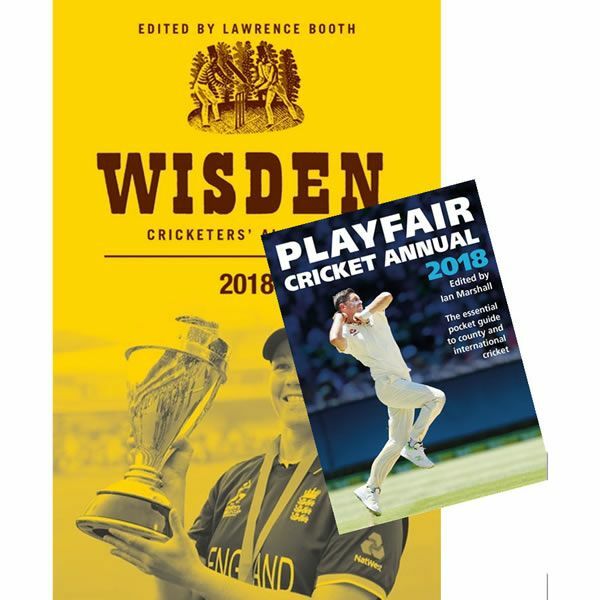 Wisden 2018, the 155th edition, contains coverage of every first-class game in every cricket nation, and reports on all Test matches, ODIs and T20 internationals. Trenchant opinion, compelling features and comprehensive records make it the cricketers bible worldwide. In an age of snap judgments, Wisden's authority, independence and integrity are more important than ever. A perennial bestseller in the UK. 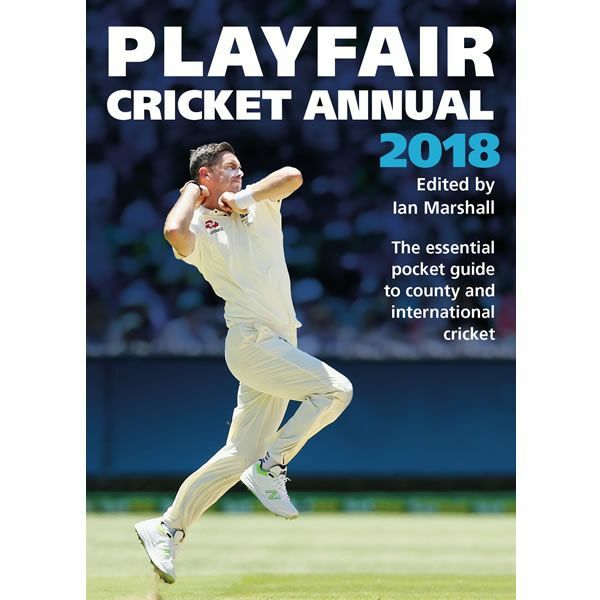 Playfair paperback: The 71st edition of the Playfair Cricket Annual is packed with all the information you need to follow the cricket season in 2018. As Joe Root leads England towards his country's 1000th Test this summer, there are comprehensive Test match records and career records, as well as series records with this season's tourists Pakistan and India. 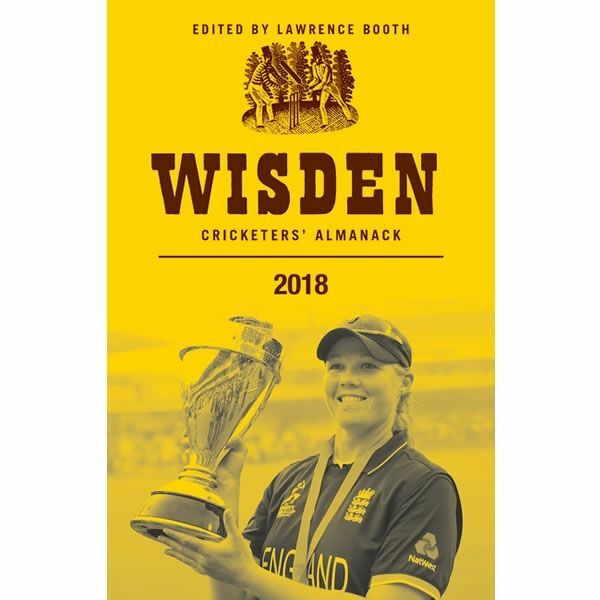 County cricket is covered in depth, with biographies of all players registered to the counties at the start of the season, full coverage of last summer's events and a fixture list for all major domestic matches in 2018. New for this year are a register of Ireland's international players, as the country looks forward to its first Test; career records for England players in IT20s; and more space than ever given to women's cricket after England's World Cup triumph under Heather Knight.